Let us do all the work for you. There are no fees to begin the search. There are no upcharges for background checks, new groups of candidates etc…. 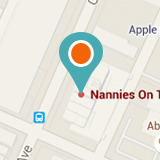 There is only a fee AFTER you select an Arlington Nanny for your family.